Before I go on, a note about the term sweat lodge: The sweat lodge is a tradition among some Native American groups that involves sweating in a hut of sorts, sometimes for hours, to heal and purify. It’s sometimes used today to help those suffering from addiction. As one study noted, “The sweating process in the ceremony requires mental and physical fortitude, bringing with it a strong sense of accomplishment, thus providing an ideal vehicle for those who want to commit to change.” The sweat lodge is a sacred ceremony that has unfortunately been appropriated by non-Natives for profit, in some cases stirring up outrage. 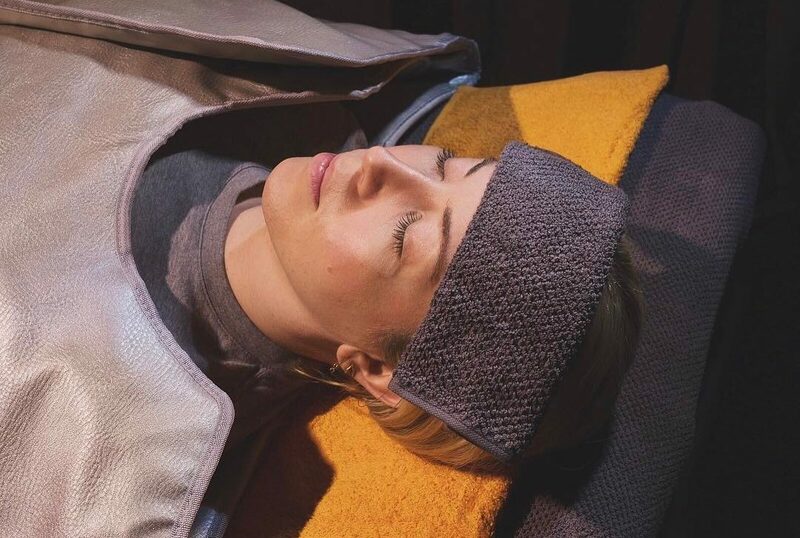 Wanting to pay homage to that experience, she adopted the term “urban sweat lodge,” but she explained that she got some pushback when she was opening her first location in the Larchmont neighborhood of Los Angeles. The woman she hired to paint her sign refused to do the work, saying her significant other was a Lakota leader and that Chiche was appropriating the sweat lodge concept. “I was like, ‘What! No! I’m honoring it!’,” said Chiche. So Chiche said she asked to meet with the man and explained how her sweat lodge experience had shaped her. Chiche told HG that the man ended up asking his partner to not only paint the sign, but to do it free of charge. “That was so deep for me and so moving,” Chiche said. As far as the physical benefits are concerned, I think I was too disconnected from the process to really experience them. I didn’t sleep well that night (though I’ve been having trouble sleeping in general lately) and I wasn’t ravenously hungry for two days after my sweat even though my Shape House attendant said I might be, since sweating is supposed to speed up your metabolism. I did feel less stressed in the days after my sweat, though, so perhaps the two are linked.